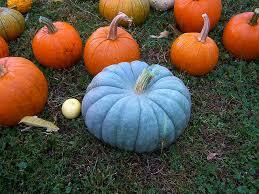 I just learned about the teal pumpkin thing, a cousin posted it on her FB page. I really hadn’t thought much about it at the time, but recently ran across an open letter written by a mother who wanted to thank everyone who was participating in the teal pumpkin project. Time-waster that I am, I clicked on the comment button just to see what people were saying. I was kind of surprised. And then surprised again as my own opinion of the whole thing changed. I was kind of on board initially….as it brought to mind how I’m not allowed to send a freaking peanut butter and jelly sandwich to school for Sammy because someone has a nut allergy. And how he’s had his snacks sent back home when the teachers found or THOUGHT they found evidence of nuts inside. And I kept reading. And wouldn’t you know I started to question why we all have to feel the need to take a stand all the damn time. Against things. And I also began to feel just a little bit ashamed of myself…. for not thinking of the innocent little kids who want to run house to house without fear of say, dying, if they sneak a piece of candy before getting home. Like I used to do. So my take away lesson was this: The teal pumpkin project is a completely voluntary, as in NOT mandatory way for anyone to show a little empathy for the kids who suffer from allergies, but still want to have the fun the rest of the kids get to have. It’s a way for allergy families to show solidarity, and also for us non-allergy families to show support. If we want. But we can still buy snickers if we want to, no one is going to egg our house. At least probably not because of anything nut related. My kids can eat anything. Anything they want. No problems. But they are growing up in a world where more and more kids don’t have that luxury. Maybe it’s good for them to learn awareness, consideration, empathy. For allergy kids and ALL kids… because there is not just one kind of kid that is “normal”. Hell, NO kid is “normal”…. but they are ALL KIDS. I worked with a girl who had a son the same age as Sammy. In preschool. Severe peanut allergy. I knew her for just over a year, and in that time her son was rushed to the emergency room because he accidentally took a bite of someone else’s sandwich that contained peanut butter. His Epi-pen and Benadryl didn’t stop his reaction. Thankfully, he was ok. But can you imagine? I would be terrified all the time. All the hidden ingredients I never check… I would guess Halloween for these families is terrifying. So no, I don’t think the teal pumpkin project is making kids with allergies or their families feel entitled to special treatment. The more I think about it, the more I want to participate…. because it’s NICE people….and it’s nice to be nice. Especially when you don’t HAVE to be. This entry was posted in kids and tagged food allergies, halloween, kids, peanut allergy, teal pumpkin, trick or treat. Bookmark the permalink.